On July 26, 1990, the United States passed the Americans with Disabilities Act (ADA), a landmark law increasing access to basic rights for persons with disabilities in the country. The ADA’s passage was the result of decades of advocacy by citizens with disabilities, following other successful legal reforms such as Section 504 of the 1973 Rehabilitation Act, which established nondiscrimination of persons with disabilities in federally-funded programs as a right. It also marked the first time that disability rights legislation in the U.S. included provisions for access to polling places, as described in this ADA Checklist for Polling Places released by the U.S. Department of Justice in July 2016. The RightsNow! project, implemented through a coalition that includes Mobility International USA (MIUSA), the Disability Rights Education and Defense Fund (DREDF), the International Foundation for Electoral Systems (IFES), and the United States International Council on Disability (USICD), uses the ADA as a positive example to encourage disability rights advocates around the world to support and implement disability laws in their countries. The coalition has produced the RightsNow! 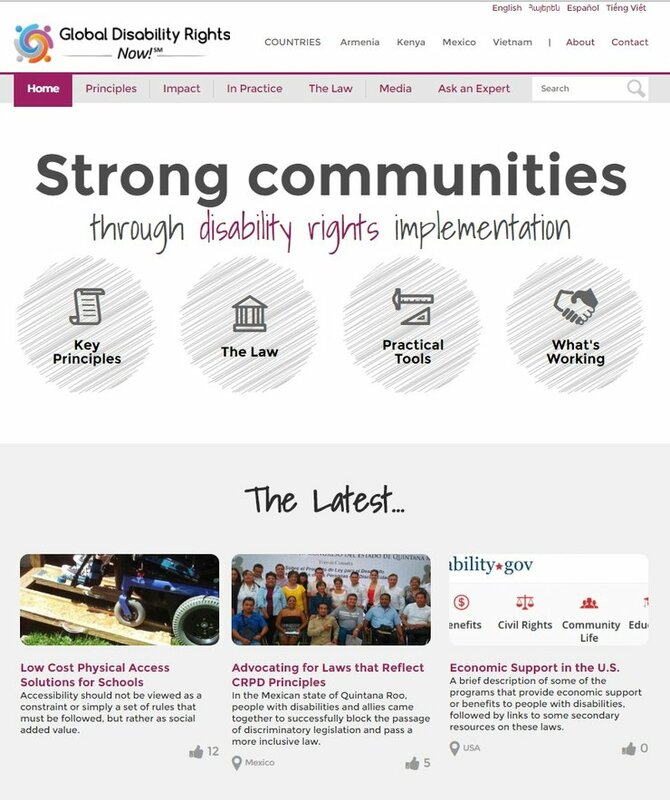 portal, which contains practical tools for disabled persons’ organizations (DPOs) and information on how the ADA has improved access to rights in the United States through principles such as nondiscrimination and reasonable accommodation. The ADA also served as the basis for the United Nations Convention on the Rights of Persons with Disabilities (CRPD), an international treaty that sets the standard for global disability rights. Since 2006, Article 29 of the CRPD has guaranteed access of persons with disabilities around the world to take part in elections and political processes on an equal basis with others.